Does anyone have a black Bull Bar Installed? 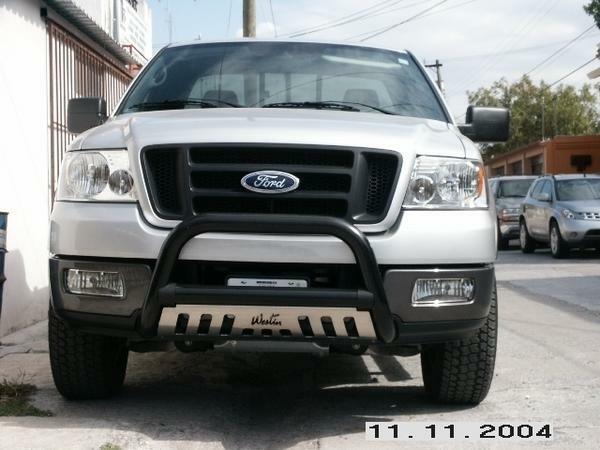 If anyone has a black bully bar installed on your 04 please post a pic. I just want to see what it looks like on a gray or black truck. Hehe funny thats the nickname my GF gave my truck when I got it. Now I call it Mickey though. 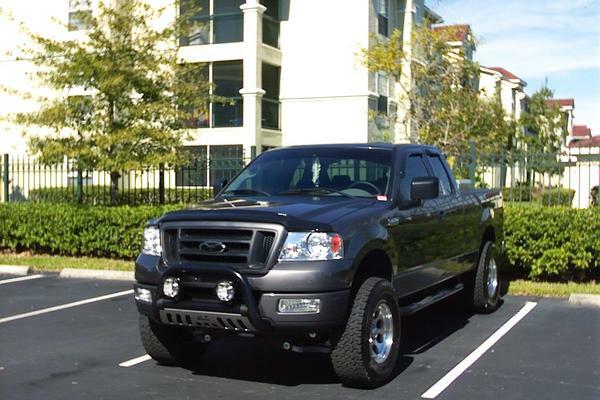 I like that bull bar on your truck. I was thinking of one now you convinced me. Has anyone every hit anything with a blull/roo bar on the road, such as a large deer or moose, do these bars actually have a practical purpose? Other than looking beefy. You got bigger problems if you hit a moose buddy. ALOT bigger. He would come right through your windshield. Unless you hit a yearling and even then your truck would be pretty screwed. Thats what I thought would happen, so a bull bar is only good for young animals and small bushes/trees? Or in downtown Detroit, baby strollers, little old ladys & other pesky pedestrians. It ripped the roof in half... what did you expect though. Its not ford tuff. She should have had on her moose bar. Quick Reply: Does anyone have a black Bull Bar Installed?